DLC Finished, Clip Point Blade with Hand Made Kydex Sheath and Tec Loc attachment. 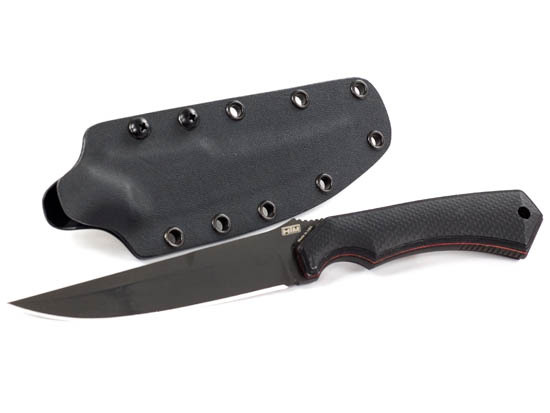 The blade is made from CPM S30V Steel, and heat treated to a 58-61 RC Hardness. The 3D G10 Tacitcal Grip ('TG') has small bumps carved on the TG?surface, allowing for excellent traction in less than ideal environments. A very impressive knife, to say the least.